The well-planned city of Panchkula boasts the thickest forest cover in all of Haryana. This place owes its name to the meeting point of five irrigation canals. Panchkula is home to several places of interest, like temples, lakes, gardens, and also a golf course. Its also home to a heritage hotel which goes by the name The Fort Panchkula. 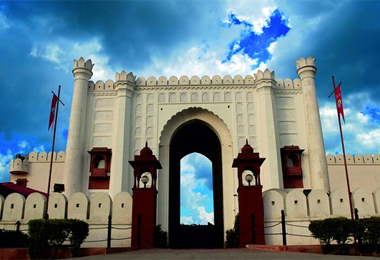 It was built by the Chandel Rajputs who held sway over entire Central India at one point in history. Heritage Hotels of India takes you to Heritage Hotel in Panchkula where you experience extravagance on a grand scale. At The Fort Ramgarh, you relive the lives of Maharajas and walk in their footsteps down grand corridors and stately living rooms. However, modern amenities like air conditioning, swimming pool, golf course and other services ensure that you are always in the lap of comfort and unsurpassed luxury.